REVEALED: First MRI Scans Showing How LSD Affects Our Brain and NeuroScientists are FREAKING OUT! 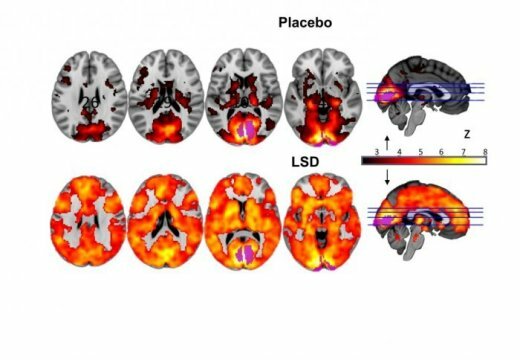 Researchers from Imperial College London, working with the Beckley Foundation, have for the first time visualized the effects of LSD on the brain. But what scientists are most hyped about is what all participants reported: a fundamental change in the quality of their consciousness under LSD. This means that you become more YOU. The areas of your brain that you neglected while “growing up” and trying to fit into the mold are reactivated. Your brain is unrestricted, it functions with its full potential and the limits of what you think as yourself are stretched giving you a broader specter of your true self. The EGO, a program people develop to better fit into the world and define themselves, is dissolving into the real potential of who you truly are. Instead of letting this program separate your brain into different areas, pathways and labyrinths, your brain is integrated and unified just like when you were a kid.